A story of what we talk about when we talk about home. What is it like to leave the one home you’ve ever really known? In To Say I Am Home, Mahendra Chitrarasu tells the story of his grandmother’s migration to Australia. Produced by Mahendra Chitrarasu of Radio Adelaide. Supervising production by Nikki Marcel. The Odyssey is one of the great stories of exile. When we first meet Homer’s protagonist, Odysseus, he doesn’t know if—let alone when—he’ll ever return home to Ithaca. So, he sits on the shores of Ogygia, eyes wet and heart aching, longing for home. My documentary is also about yearning for home. 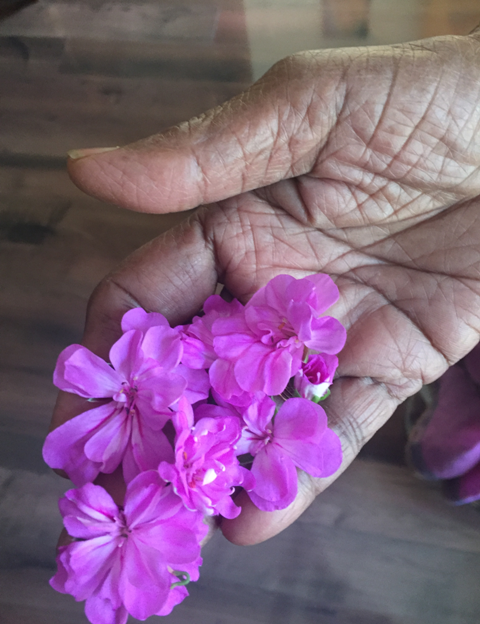 I tell the story of my grandma, Meera, coming to terms with the loss of the one home she’s ever known. This is a story that examines what it’s like to be transplanted across seas and cultures. Like Homer’s tale, my documentary asks: What is home? To what extent are we defined by the places we live? And what happens when we leave home? The Ithaca of my grandma’s life is Hyderabad: her birthplace, and home for the better part of a century. But after her husband dies and her children move away, she becomes isolated and depressed. For the sake of her health, she must reunite with her family, and move to Adelaide, Australia. That means leaving her one true home. But home is the magnetic north of my grandma’s life. It’s her reference point to the world. And if home is the place from which she orients herself, then the loss of home is profoundly disorientating. Yet, for the poet, David Whyte, ‘the ability to turn your face towards home is one of the great human endeavours and the great human stories’. My grandmother’s journey from her home in Boudha Nagar to my house on Battams Road expresses our common human need for a place to call home. It’s that which inspires me to tell this story. To my family for providing the threads with which to weave this story, and to my mentor, Nikki Marcel, for her sage advice. And thanks beyond the grave to Dvořák for Symphony No. 9 “From the New World” and Debussy for "Clair de Lune". Email tosayiamhome@gmail.com if you'd like to get in touch! A a graduate of the Steiner educational model wanted to understand more about it. The 12 pieces made for the inaugural Documentary & Features Competition, run by the CBAA and the CMTO, are ready for airtime. These will be available to stations for local broadcast through the CRN programming service in October and November.